For affordable, high quality off campus housing near Georgia Tech, look no further than 100 Midtown. Located in Midtown Atlanta, just five minutes from the Midtown MARTA train station, our 2- and 4-bedroom apartments are furnished, have a full kitchen, and come with their own washer and dryer. Rent includes cable, Internet and water. Our library and computer room with Macs and PCs loaded with engineering software and the Adobe Creative Suite are especially helpful to students, while our theater and TV lounge offer all residents comfortable spaces to relax, unwind, and mingle with neighbors. Plus, our 24-hour fitness gym makes it easy and affordable to stay active. We’ve got you covered! 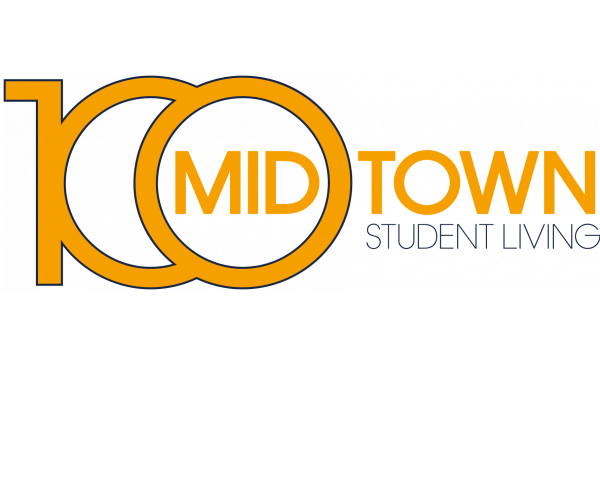 100 Midtown offers a matching service to anyone who doesn’t sign a lease with roommates. For more info, check out our FAQ. So what are you waiting for? Schedule a personal tour of our community today!